I’m currently planning my 2019 craft show schedule and it has me looking back on what I did last year and how I can improve for the upcoming season. I thought if I’m spending this much time figuring out my new plan I might as well share it and help someone else. My first craft show ever was very last minute. A friend’s mom was running it and needed more booths to fill up the event. It was her first time organizing a craft show so it didn’t have the biggest turnout but I still had success. Moving forward I made my booth better and bigger at each show and paid attention to what other vendors did. At one show there was another beekeeper and another soap maker and I couldn’t help but check out their booths. I noticed I had more customers than them. I’m not saying my booth was perfect but I take pride in it. I think my customers could tell how much effort I went through to look clean and professional. The other two vendors had fairly sloppy tables and no clear signs. If you look at my first table ever below you’ll see you don’t need much to look good. As you can see I didn’t have that many supplies for my first show. I ordered my sign from Vista Print on sale and paid extra for fast shipping, I bought my baskets at the dollar store, the stand the candles are on is just a box covered in white tissue paper, the dish the lip balms are in was one I found at my grandpa’s house, and the table cloth is cheap plastic. But I still made sure to keep everything organized neatly and clearly labelled. I had a tester out for the salve, I kept my four-in-one bars on one side and my soaps on another, I made the most out of what I had time to do. I also made myself a cash box and bought plastic signs to explain a bit about my shop. Things I don’t like about this booth is the way the sign didn’t lay flat on the table and had to be taped on, and I don’t like that the table cloth is not long enough to hide my boxes under the table. It’s a very simple booth and not very eye-catching. I think the honey and the candles adding hight to each end and the symmetry worked well. My next shows I improved and expanded the variety of soaps I brought with me. I also think it’s important to plan for the type of event. Most shows I attended were Christmas themed so you need to keep the theme in mind. The burlap covering the top of the table will be at all of my shows to keep consistency, with either a solid or Christmas themed table cloth underneath. In the above photo, there are still things I’d like to change. I find the table a touch crowded and am looking into adding shelves of some kind so I can have these products without the table feeling crowded. It would also add some more hight to the display which will create more visual interest. To keep the Christmas theme I used a Christmas table cloth and brought Christmas themed merchandise with me. The most important thing is to have your prices and product names clear. People are very likely to just move on rather than ask for a price. I have my gift sets displayed on the table with pre-packaged ones underneath so I was ready as soon as a customer wanted one and didn’t have to alter my display. From my experience, the best thing you can do is be ready to help your customer and tell them about what you do. I greeted each customer and gave them a quick blurb about Growing Green Co and myself. People are at a craft show because they want to support small local business, and they want a story. I always say something along the lines of “I’m Amanda I hand make all of the products you see here in small batches. I started as a beekeeper with my mom and expanded to making all of this from that. I use all natural ingredients and the traditional soap making methods our great grandmothers would use”. Keep it short and interesting. You can expand if they seem very interested or ask questions but no one wants to be trapped by a vendor. If someone’s looking at my candles I might add that I make each one individually, or mention some of the benefits of beeswax. What you want to do is encourage people to want to support you, but there is a fine line between helping and driving people away. Give them space to breathe and look around. No one wants to feel pressured or watched. As long as you are organized, and friendly I’m sure you’ll have customers. I recommend starting very small like I did. I did several newer smaller shows which meant I could gain exposer and experience without much financial risk. Smaller craft shows cost between $25.00-$50.00 for a booth while some I will be attending this year are $100.00 for a booth. I would have never paid that much my first year. I’m hoping my new booth set up will help me cover my costs. There are still several shows I decided not to attend this year because they cost over $100.00, but maybe next year I can try them out. I’ll post another day with a list of tips for craft shows but I hope for now hearing about my experience was helpful for you. It’s officially gift giving season! 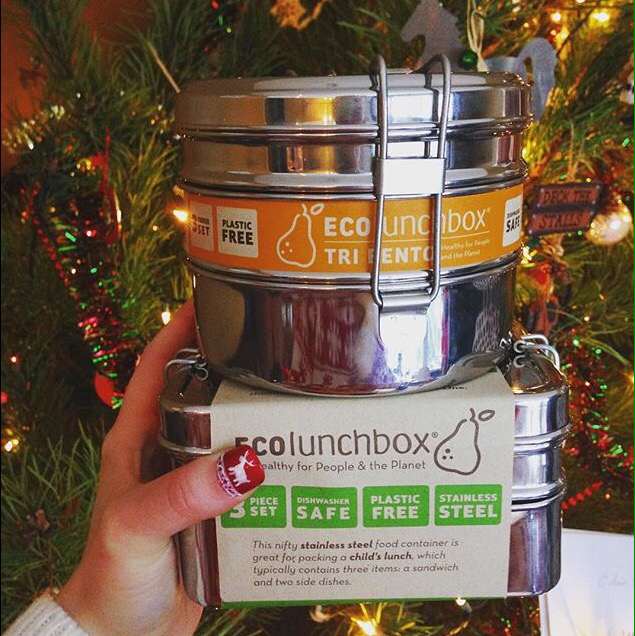 It can be hard to navigate gift giving when you’re trying to be zerowaste, low waste or just more eco friendly. 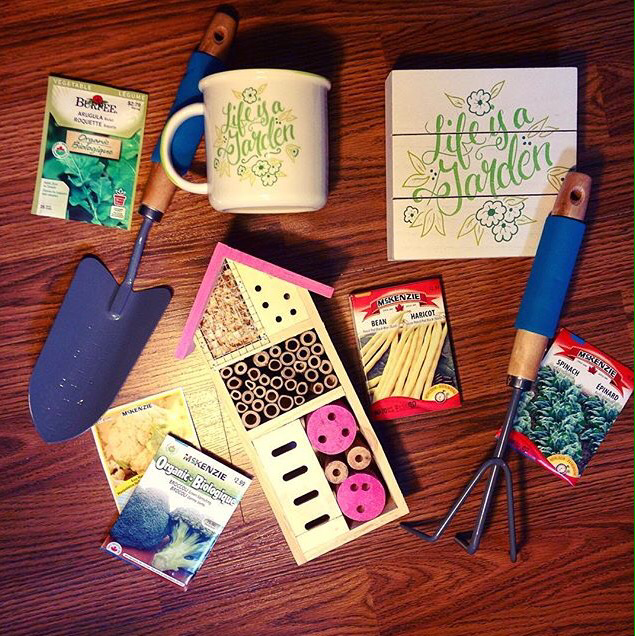 Here are some gift giving ideas to try and help you out! These are all gifts I’ve given or recieved over the years. Some of my favourite gifts are hand made. My sister knits and paints so I’ve gotten knit socks, a coffee sleeve, and an amazing painting of my cat. 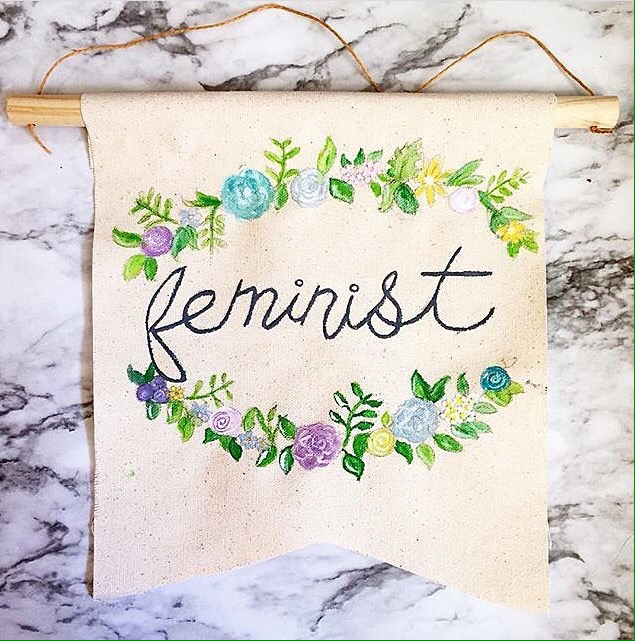 My best friend also paints and does all kinds of creative things. She’s made me a doll of my cat, and paintings. I love them because it makes me think of them and it shows so much thought. Baking some cookies or brownies is also a great way to make a gift. I love useful gifts, but I also want them to be fun. Supporting someone’s hobby does both. I’ve gotten bee keeping supplies for my mom, I’ve recieved soap molds, gardening supplies and embroidery thread. My sister often gets art supplies. I think this is great because your not just giving someone stuff that’s going to take up space but something they can use, and think of you when they use it. There are lots of experiences you can give someone as gift. The plus side is that then you get to spend time with them. Get the two of you concert tickets, a voucher for a yoga class, or a movie theatre gift card. There’s lots you can do. 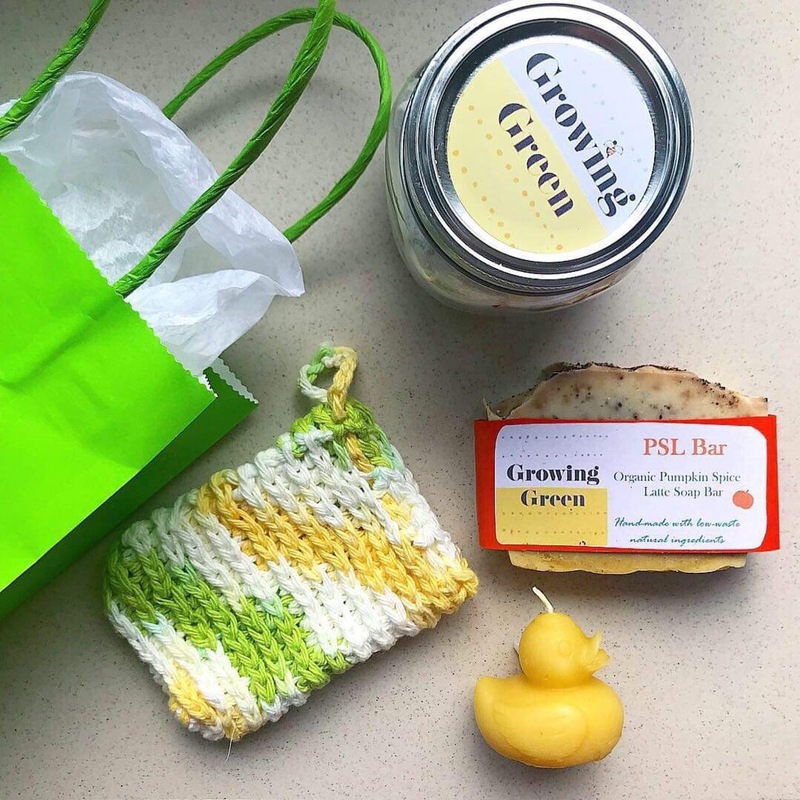 When you do buy something for someone I feel like buying something local is thoughtful. I will self promote a bit here. I keep seeing plastic wrapped gift sets at Wal Mart and other big stores and to me they just seem so lazy, but if someone gave me a hand made or locally made gift set I’d love it. It’s also easier to find plastic free choices from local shops. I ask for zerowaste goodies most years and now I have so many stainless steal tiffins, reusable bags, reusable bulk bags, travel mugs, and reusable straws. They help me keep up with my zerowaste goals and because it’s something I can use I think about the gift giver whenever I use it. What are the best gifts you’ve given or recieved? 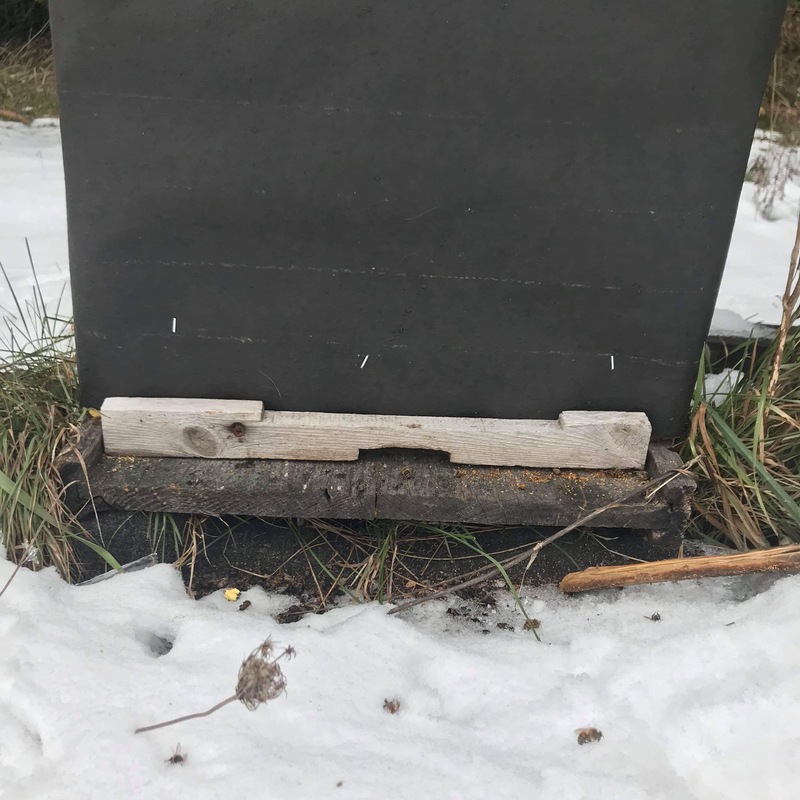 Winter is the easiest time of year for beekeepers because once you get your bees tucked in for the winter there really isn’t much you can do, but this also makes it a scary time of year. Of course we still check on them but you can’t open up a hive until it’s over 10 degrees so no hive inspections. We use a plastic tube as a kind of stethoscope to listen to them and see if they sound strong instead of an inspection. But before this we get them ready for winter. In the fall once the honey is off we treat the bees. We use Apivar strips to treat for varroa mites, and a powdered oxy (oxytetracycline) for foul brood. Usually we do both in the fall and spring. This year will be the first time we didn’t treat with oxy before winter, so we’ll see how that goes. The treatments need to be done after the supers are removed and before you get the bees ready for winter. When we take the strips off its a sign we need to get ready for winter. We do three things to get the bees ready. First we put insulation in the inner cover. I want to experiment with using wood shavings instead of insulation next year. We then wrap the hives in tar paper. I know some people use the bee cozys you can order from bee supply stores but I’ve never tried one. 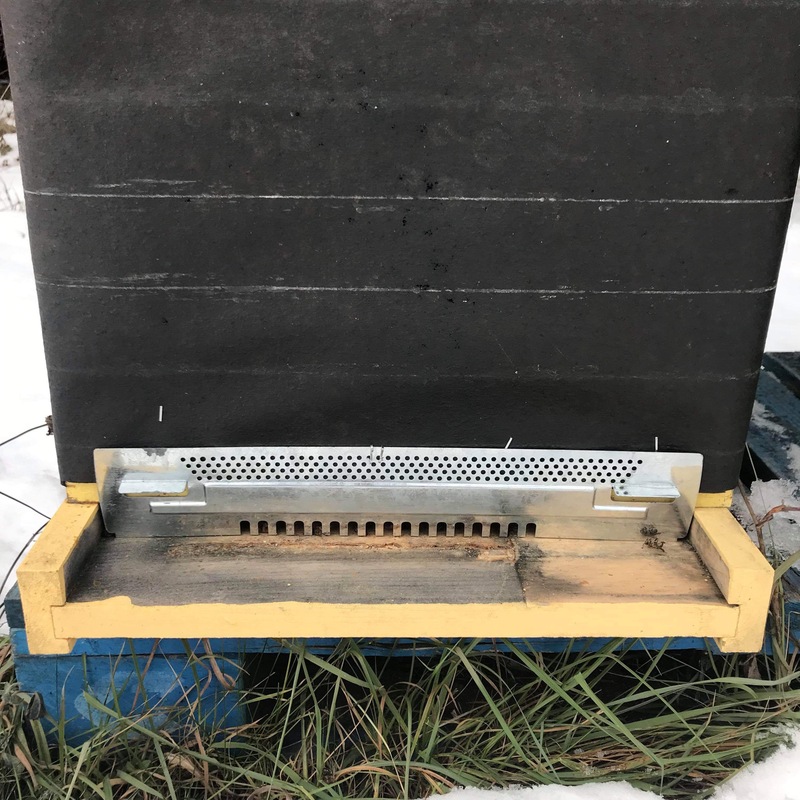 You don’t want your bees too bundled up or moisture won’t be able to get out and your hive could get moldy. Finally we put an entrance reducer on the hives. The reducers help prevent robbing, they prevent mice from getting in and they also keep them a bit warmer by letting less air in. We are using both wooden and metal entrance reducers and I think I like the wooden ones better but I haven’t decided. I worry the metal ones don’t provide a big enough space for the bees to clean out dead bees. You can make the wooden ones yourself or buy either kind at a bee supply store. You could also just block the hive door with whatever you have on hand. This isn’t the best option because the real reducers are secured to the hive. And that’s it. Now you just need to cross your fingers and hope everybody makes it through the winter. To help your Christmas shopping I’ve created some gift sets. These sets include some of the most popular items in the shop but they are matched and wrapped just for you. If you don’t see what you’re looking for you can always customize an existing set or order a custom set. All gift sets are available in a gift bag or gift box. Please remember to order early so I can deliver items to you on time. There is the possibility of products selling out before Christmas so please order soon.